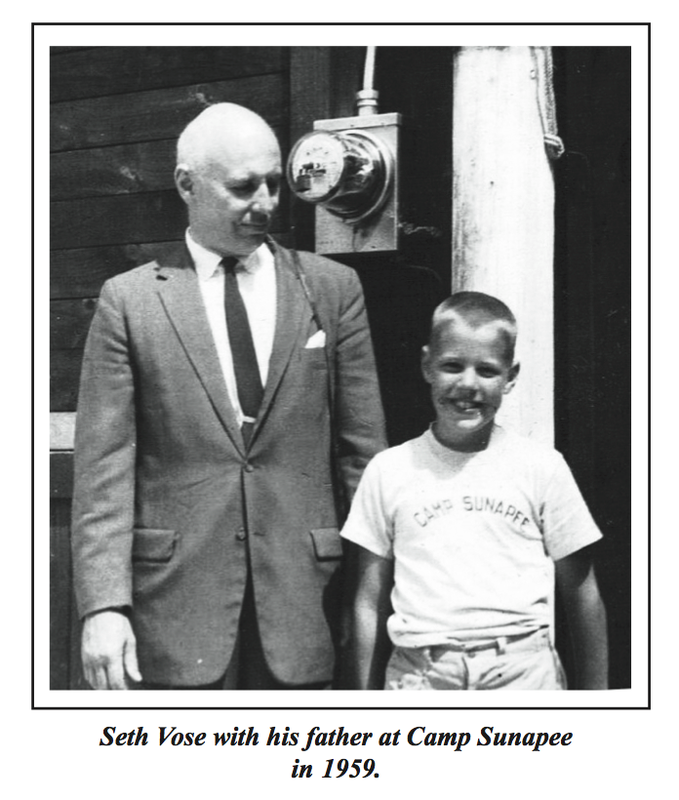 It was in the summer of 1957 that Ruth and Morton Vose delivered their not quite eight-year old son Seth to Camp Sunapee in New London, New Hampshire. The boy, namely me, settled into camp life, taking well to such things as boating and camping, but not too keen on the stringent safety require- ments of swimming. He did learn to swim there, through the clever use of a pair of trunks which had a pair of airbags built in to get him over his initial nervousness. Never did take to water skiing. Too chicken! experience included a life-altering event. This one was Riflery. Thatâ€™s what they called the shooting program, and our boy took to it like the proverbial duck to water. elderly gent who is identified only as “the old man” to ask what rifles he should get for them, and of course the old man suggests Remington. This one even included instructions on how to build a basement backstop using a steel plate to direct projectiles down into a box of sand. handed a small section of 2×4 with five holes drilled in it. Each hole would contain one .22 long rifle round bullet down, taken from the familiar 50-round green and red Remington cardboard boxes. We would each kneel on the mattress, put on the rifle’s sling, and then hunker down prone. Would we then start shooting? No! The rangemaster’s control over us was absolute! He would command… “Load your rifles” – and one round went into the chamber. “Close your boltsâ€ – We did so. “Commence firing!” – We did so. do nothing but single load. Their concern for safety was so great that we were not even allowed to handle the spent cartridge cases, lest some chemical residue poison us. Most of the cases flew forward off the platform into the dirt. Those that did not we flicked off to join their buddies below. Once a year at the end of the season the rangemaster took a rake and cleaned them up. a bulbous end to the post with which one covered up the bull. I was among the advocates of the circle. It interests me now to remember that no one seemed interested in the traditional square post. Eventually I managed to win the Pro-Marksman and Junior Marksman awards. Wish I knew what became of them! I left Camp Sunapee about 1961 and went on to Camp Highfields, in East Union, Maine. 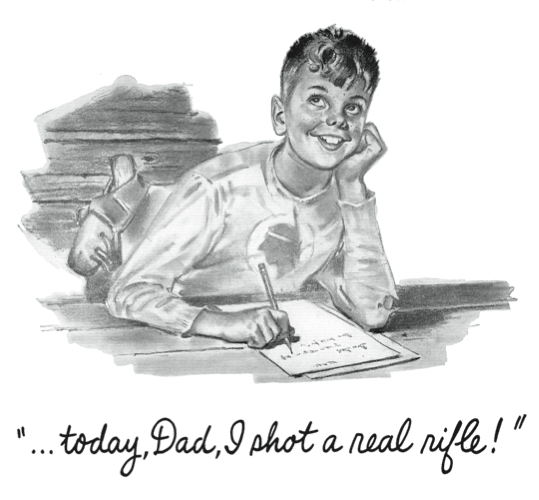 There was a riflery program there; in fact I recall we used the same types of rifles, the same piece of lumber with 5 cartridge holes and similar comic books. There was one major difference though, the command was simply â€œCommence firing,â€ and we went ahead and shot all our five rounds with no other commands until the cease fire order came. So now, fast forward 54 years. Camp Sunapee, which had existed since the 1920s, finally closed in 1986. There is a subdivi- sion now where it used to be. The only reminder is the address, Campground Road. Social pressure from parents forced most camps to give up their riflery programs. Our boy grew up, came of age, and started a gun collection. After stumbling around quite a bit making the usual costly blunders one always makes in learning what guns are collectible and which are not, I settled on .22 caliber rifles as a specialty, finding it a rich collecting field, not to mention one which could accommodate my severely limited budget. Of course, being a .22 rifle specialist I found Remland to be a target rich environment. 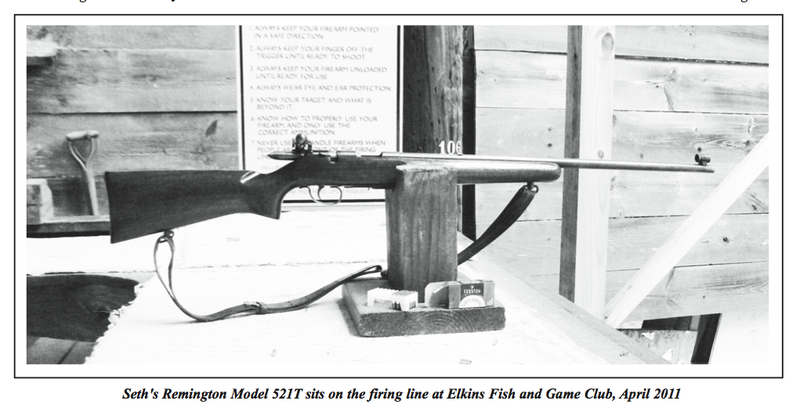 Now I had remembered the rifles I used at these camps as Remington 513T Matchmasters, since my father owned one and it looked exactly like the rifle I had used. In April of 2011 I went to the Gun Owners of New Hampshire Show in Concord, NH, and there purchased a copy of Gyde and Marcot’s Remington .22 rimfire rifles. On going through it I came across the 521T and realized that had to be what I had been using, as it fit me perfectly as an 8-year old boy and my father’s Model 513 would have been much too big for me. It was only a couple of weeks later, while poking around the internet that I found Acme Arms in Plympton, Massachusetts. On its used gun page I found a Model 521T, just like the one I’d learned to shoot with 54 years ago. So, on May 8th, after emailing him and asking him to hold the piece, I sallied forth down the highways and byways of southern Massachusetts. After considerable time on major highways I spent the last two and a half miles on a little country road with Cranberry bogs here and there. Plympton is one of those places they describe as “if you blink, you’ll miss it!” I soon found myself in front of a private home with an almost unnoticeable little sign over the garage “Acme Arms.” A small handwritten sign informed visitors the shop was above the garage and directed me to enter the side door of the garage and up the back stairs. with magazines over ten rounds, and a Class A License to Carry which entitles one to handguns. The regular FID is shall issue to anyone who has a clean record. The others are “May Issue,” at the personal whim of the police chief. Many chiefs are proud of the fact they approve almost none of the applications. A couple of times ago when I went to renew my FID the officer glared at my application for a few seconds, then declared in a stern voice, “No Handguns! Right?” and when I answered that yes, I had no handguns he approved my renewal without hesitation. Not content with the Federal Assault Weapons Ban, Massachusetts enacted its own in 1999.
to his desk and looked me up online. While I was waiting for him to finish this I heard a squeak behind me, looked back and saw Dad looking up at me, his mouth fully occupied with a large plush doggy chew toy representing some type of bovine creature. So of course I wrestled him for it for a few moments before letting him have it. separate scan must be done for each gun! was going on Adam was online reporting the sale to the State Police. Yes, Massachusetts requires registration of all firearms. The state knows you have it even before you leave the shop! Finally, Adam made the call to NICS as per federal requirements. After handing over my money, there was one last requirement. I could not legally leave the shop without putting a trigger lock on it! This done, I shook Adam’s hand, said goodbye to Dad, and at last, off I went with my Remington.